A new workbook for 3rd grade students. Focusing on English that can be used everyday at school and at home, you will love this 10-lesson workbook! 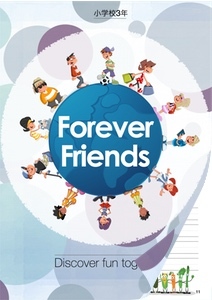 Self-print the Forever Friends workbook. Materials copyright 2015 flipENGLISH. These materials may not be redistributed without permission from us. Ask first! These materials are free to download and print. Please use them! These materials may not be sold on any other website or bookstore.